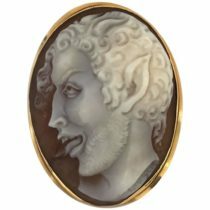 A Lusty Shell Cameo of a Satyr. A Smart brooch by Andrew Grima. 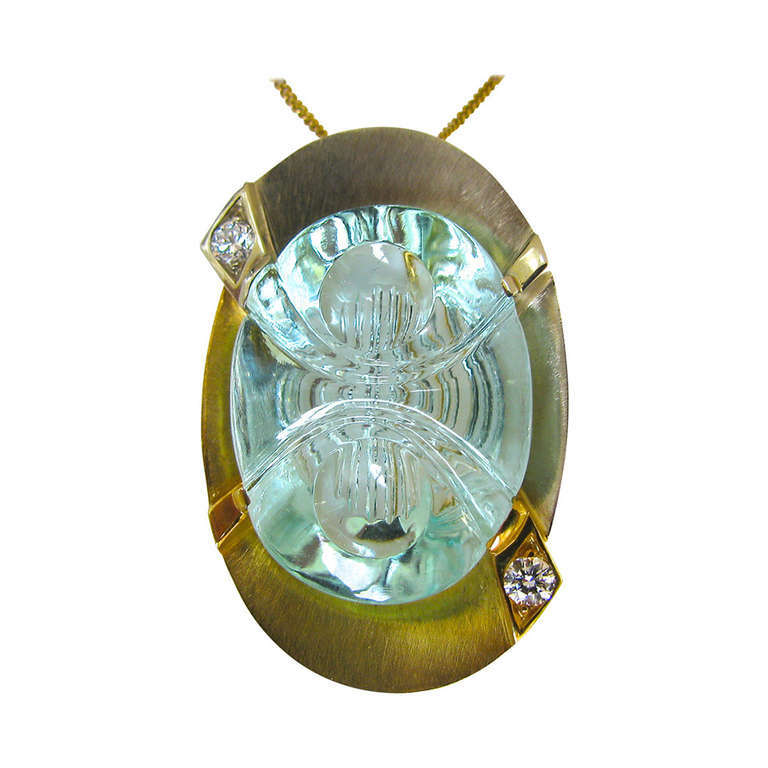 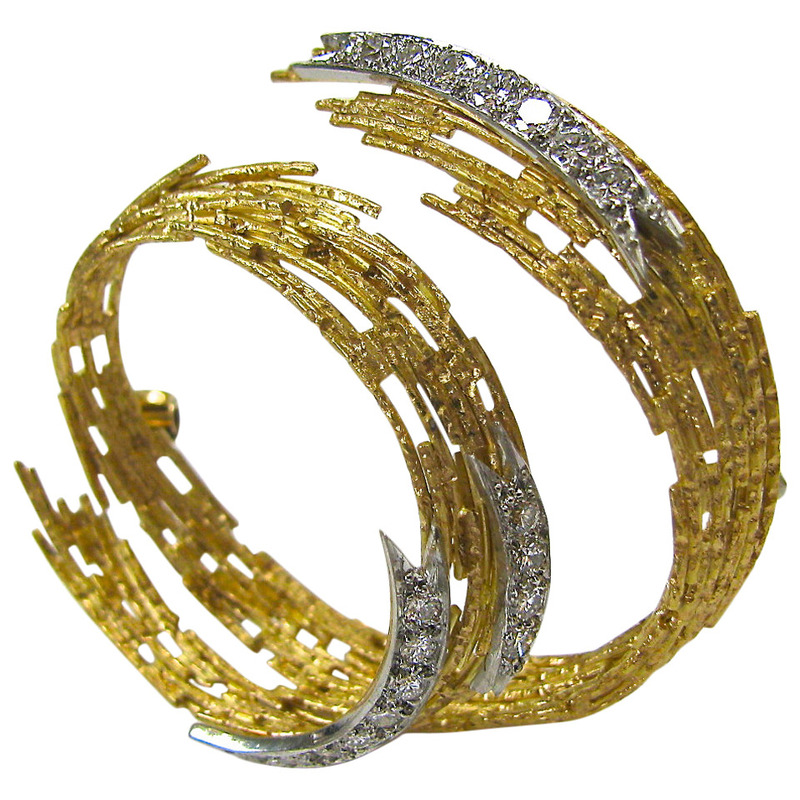 A sculptural gold and gemstone , engraved with Bianca E Giorgio. 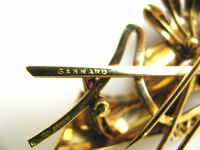 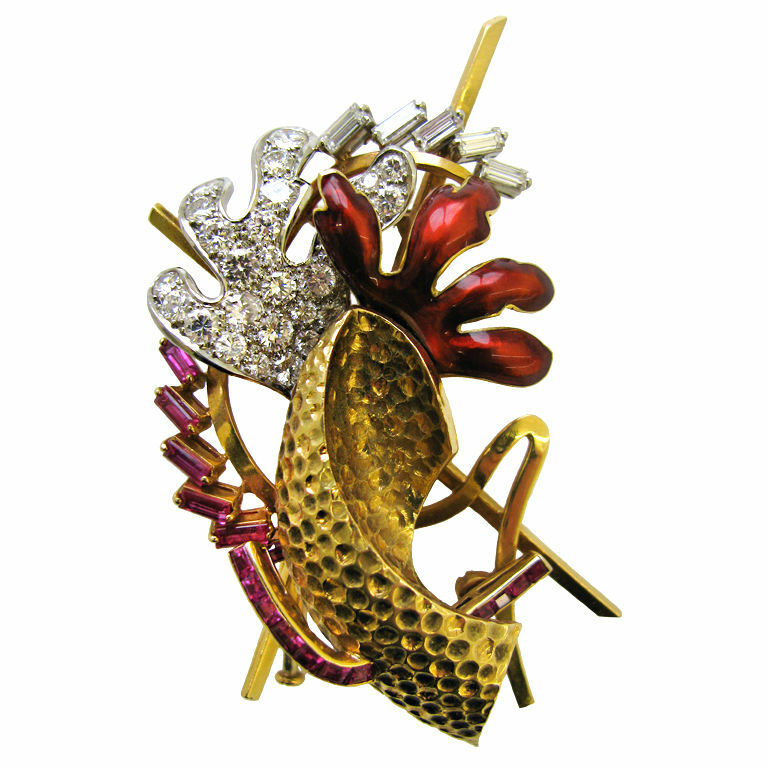 A stylish gold, ruby, enamel and diamond clip brooch by Garrard. 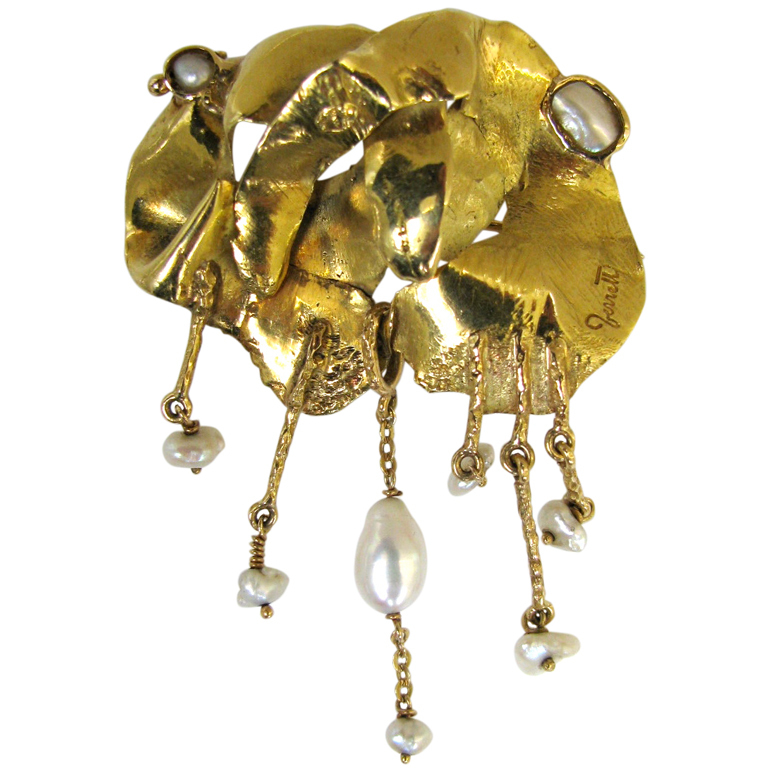 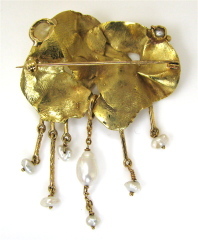 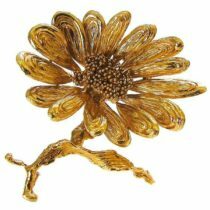 A charming gold and pearl brooch. 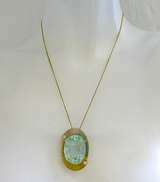 Michael Dyber, An artistic carved aquamarine. 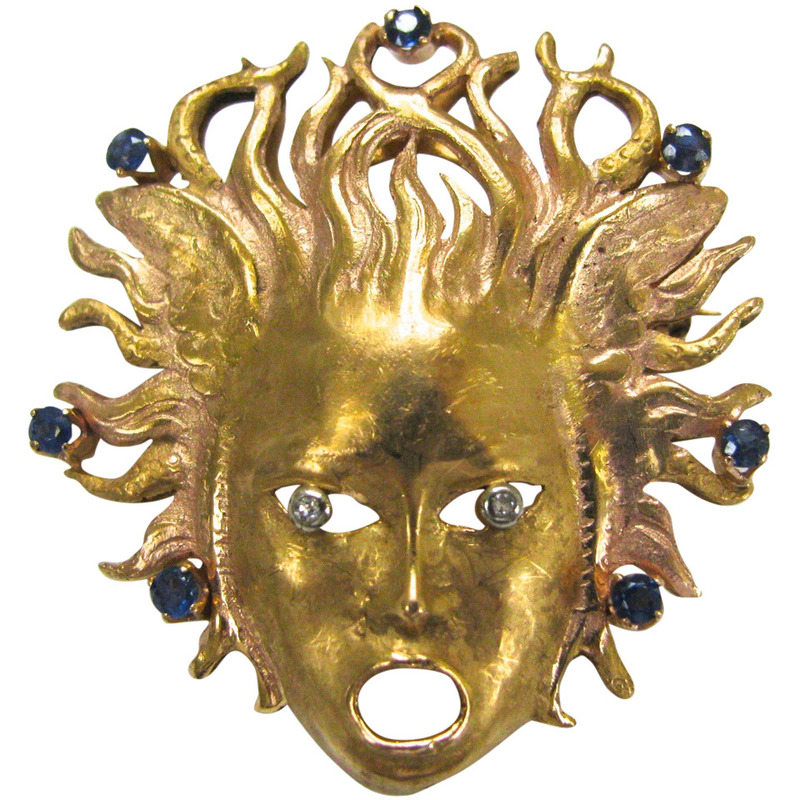 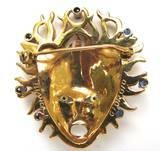 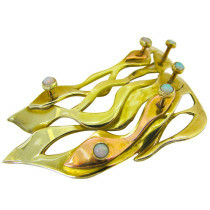 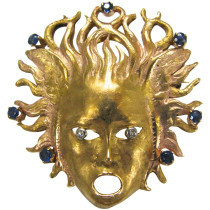 An artistic two-color gold and opal brooch by Art Smith. 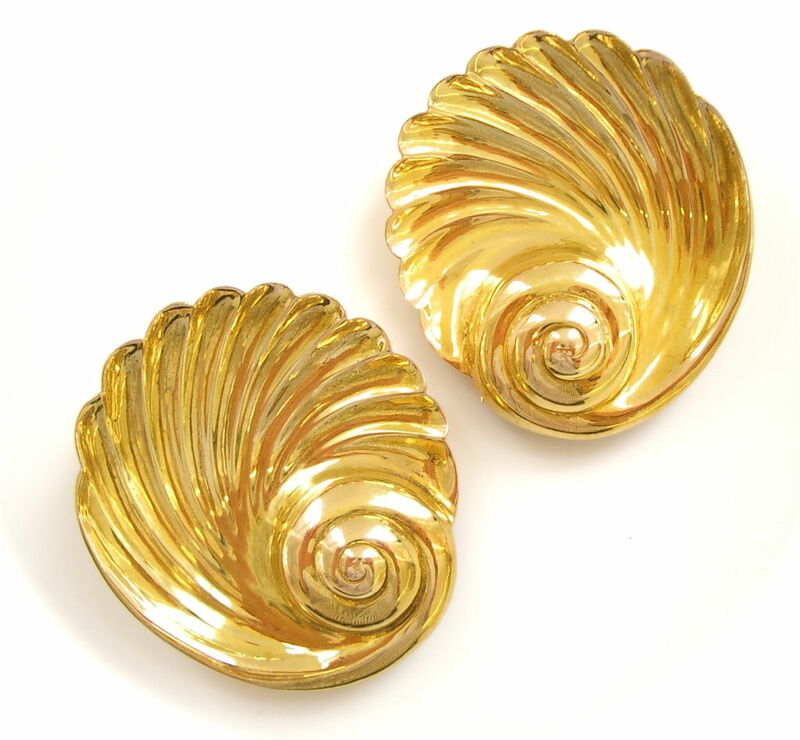 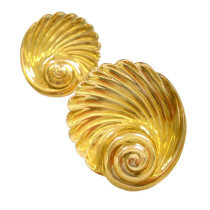 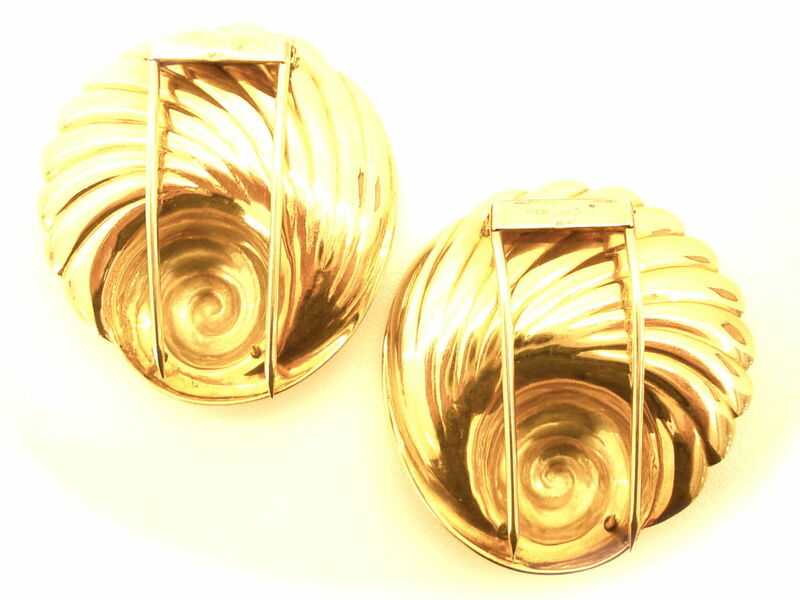 A Chic pair of retro 14k yellow gold clips by Marcus and Co.